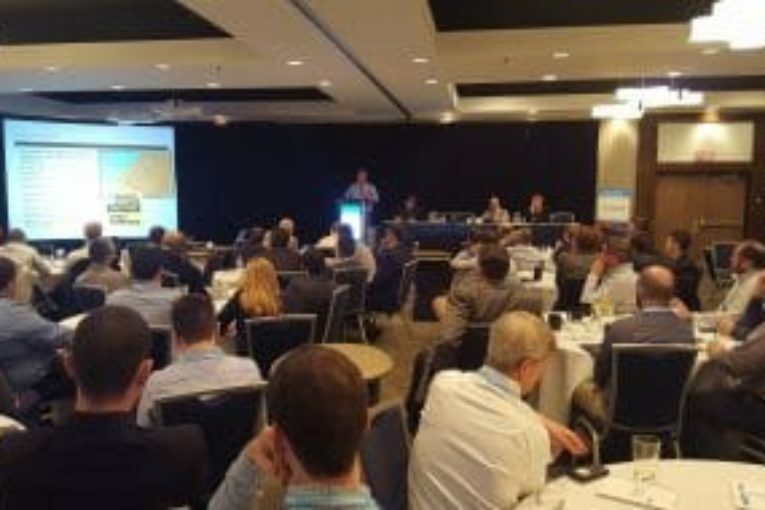 In the lead-up to the Canadian Wind Energy Association (CanWEA) O&M Summit I’m beginning to turn my attention from the event program that we have been pouring over for the last few months to what is going to come out of these carefully formed sessions. On the one hand, I have a pretty good idea of what to expect. If you’re a conference veteran, you may have your own pre-conceived notions of what this is going to look like. On the other hand, the diversity of personalities and roles that we’ve invited to the stage leaves a lot of room for unexpected animation. Last I heard there were no divisions in the O&M space that could over-heat a good debate but there is certainly a wide range of perspectives that will be represented. I am excited to see our sessions include turbine techs, managers and execs as well as design engineers, niche service providers and those responsible for health and safety. Many of our sessions will be unscripted discussions where leading industry representatives will speak their mind as they unfold the big challenges. Based on a foundation of unique and valuable presentations, it will be these unscripted times (both on and off stage) that could prove to hold the most value for many attendees. CanWEA is dedicated to the advancement of wind energy in Canada. A Summit like this must have interesting and relevant content, and this I can vouch for. This event is more than an opportunity to share the latest tech and processes or name the big challenges in the industry though. It’s an important step in the advancement of wind energy in Canada. CanWEA members have been working to set industry-wide priorities for O&M and discussing how we can relate in a unified way to external influencers and internal stressors. During the event, they will be vigilant in distilling relevant information to take back to their companies and CanWEA O&M committees representing over 7 GW of Canadian wind capacity. Having new information and deeper networks in place, the CanWEA O&M Caucus will have its future work informed by the discussion and debates found in the Summit proceedings. To succeed, the O&M Summit must move the industry forward. Indeed, we will need to take a sober second look at our work in 2017 if at the 2018 Summit we are saying the same things all over again. Here are a few things that I’m thinking about today when I look at the agenda for February 1st and 2nd. I encourage you to take five minutes now and go through it yourself. Let’s challenge our spokespeople and ourselves to not let this opportunity pass without exposing the opportunities that will really make a difference in advancing the operation of Canada’s wind fleet. Operational Strategies: Operations, the Big Picture from a Room with a View – Join us at 9:15 a.m. on Feb. 1st! What do technicians wish they could say to upper management? What frustrates the average site supervisor? How well does executive management feel they understand what a 20-degree swing in temperature means for techs? Getting these individuals with different responsibilities in an open forum together is a valuable opportunity for all levels of operations staff to speak without the usual constraints of the day-to-day corporate culture. Blade O&M: Operations in Harsh Climates – Join us at 3:15 p.m. on Feb 1st! We have assembled a panel of lead researchers, OEMs and owners to give you a window into what is going on at the leading edge. This highly visual set of presentations should get you thinking about what those blades are going through as they operate in ice, dust, rain and other harsh conditions and what you can do about it. See if you can identify the source of damage on a selection of blades from across the country and hear some expert diagnosis. Improving Returns: Diverse Perspectives from OEMs, Owners and ISPs – Join us at 9:15 a.m. on Feb 2nd! For speakers, exposing business financials in front of large crowds is not really an attractive proposition. By turning the topic towards improving the playing field for everyone I hope to see some candid opinions on how best to offer services and purchase contracts that work for everyone. An unsatisfied customer can be worse than no customer so let’s get all the options on the table and let you choose where you want to direct your efforts. Health and Safety: Hands on and Speaking Up – Join us at 2:45 p.m. on Feb. 2nd! Make sure you download the Summit App and save it to your home screen or desktop before attending the event. At this session, delegates will get to vote for the most relevant topic on the list and get the answer from these long-time wind turbine health and safety experts. You can also then grab a mic and speak up if you aren’t getting the info you need. I look forward to participants getting as much as they can out of this session. These are just a few of the discussions that are on my mind today. Take a look at the full program again and start forming your own questions. If we’re going to launch into this new year with the momentum to move forward, getting everyone together in one place at the same time is a great way to start.